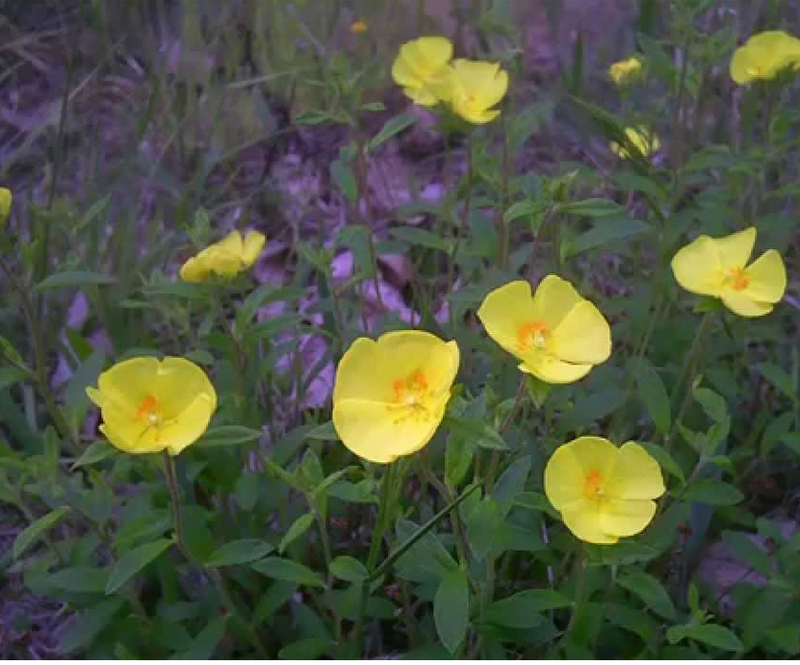 Rock Rose is a perennial herb, with a simple, ascending downy stem, about a foot high. The leaves are alternate, from eight to twelve inches long, about one-fourth as wide; oblong, acute, lanceolate, erect, and entire. The flowers are large and bright yellow, some with petals, and some without petals. The flowers open in sunshine and cast their petals next day. Species: Helianthemum nummularium (L.) Mill.